Clipper Oil has announced a new collaboration with Jubitz Fleet Services to expand their physical bunker supply operations in Oregon and Washington. The product grade available will be Ultra Low Sulfur MGO (meeting ISO 8217:2010 DMA specifications) delivered by truck. Trucking will be provided through Clipper Oil's newly announced partnership with Jubitz Fleet Services, a leading provider in the region for over 65 years. In addition to LSMGO by truck, Clipper Oil will also offer the full line of Chevron marine lubricant oils. 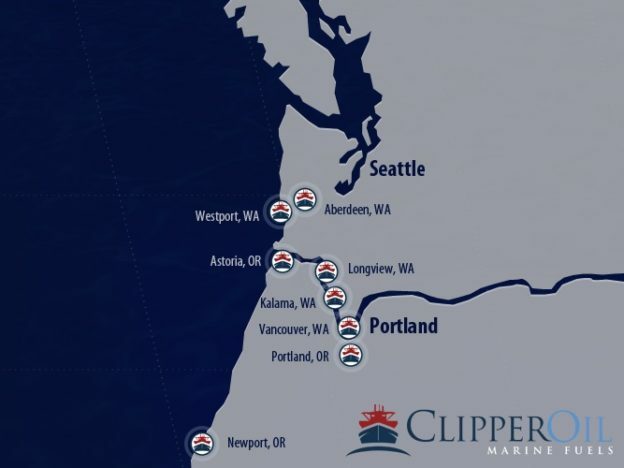 Established in 1985, Clipper Oil is a worldwide supplier of marine fuels and lubricant oils, specializing in supplying vessels throughout the Pacific Ocean. The San Diego, California based company maintains offices in the USA, Singapore and throughout the Pacific Islands.